First in the line of 'Guest Written Blog Posts' - Its breakfast time in our friends beautiful chalet in the heart of Courchevel. Chalet Tarentaise has magnificent views over the valley, so it's not surprising that talk turn to where to ski, which pistes are groomed, etc. Where to lunch comes a close second, not surprising either, since we all take food very seriously! And what a wonderland place the Three Valleys is for all kinds of skiers, and indeed walkers. Before I skied, I regularly went walking along the many paths, found a special spot for hot chocolate and simply enjoyed the amazing views. 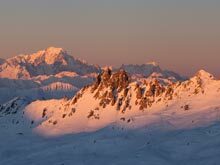 My skiing now consists of mainly blues and greens, yet Courchevel and Méribel has huge variety for basic skiers like me, and of course, the area is famous for its more challenging runs for my more accomplished friends. Between them, Courchevel 1650 and 1850 have a bewildering array of runs for the less experienced skier. Jardin Alpin is a personal favourite of mine, running through beautiful forests peppered with extravagant alpine hotels. Skiing with Michael is a particular pleasure: it's all about the confidence he instils. If he suggested we skied down a steep couloir, I'd happily follow; you know he'd get you down safely. But having avoided the couloir (Michael says we'll leave this for another day! ), it's time for coffee or hot chocolate. I always try to stop somewhere with a magnificent view and in the Three Valleys this isn't hard to do. If you are making the journey from 1650 to 1850, then consider the Pilatus restaurant. 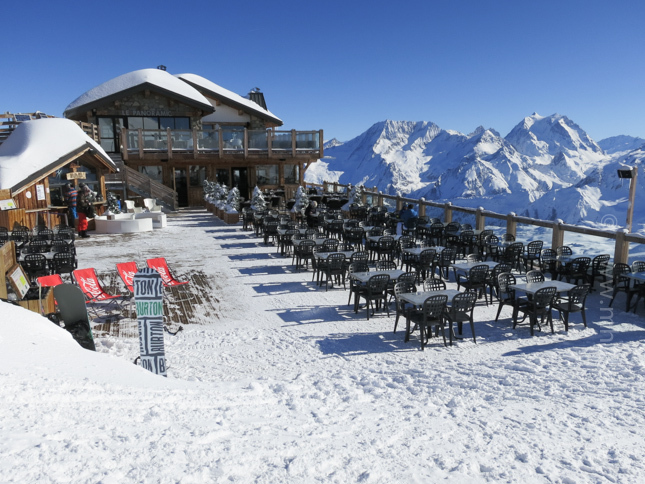 Situated about the Courchevel airstrip, this place ticks all the boxes, especially for its stunning hot chocolate, made with real Swiss chocolate. 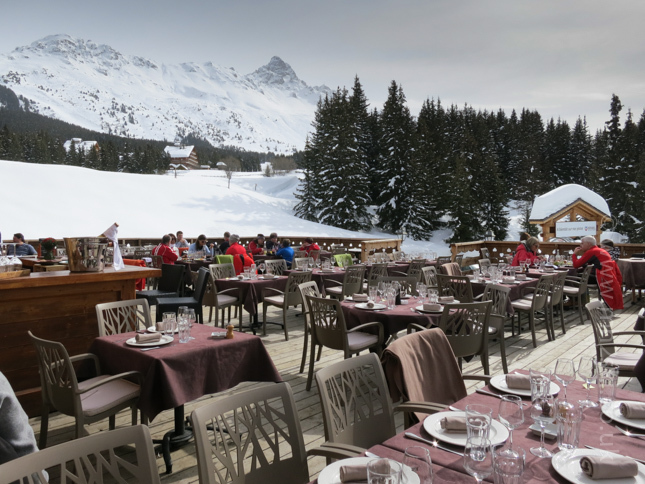 Dining can be a bit expensive in the Three Valleys and the quality variable, so it's worth designing your day around lunch. In high season or if you're a large group it's always worth booking in advance. On the slopes in 1650, you will inevitably be drawn to the Bel Air. Keen prices, good food and a charming host in the affable Christophe, make for a great combination. It also boasts a beautiful terrace for those sunny days in spring or a glass conservatory for when the mercury is not so high. 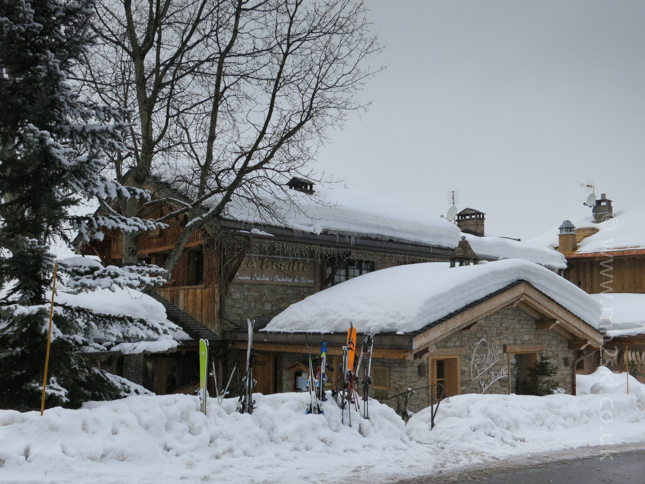 A new addition to 1650 is the Ferme Auberge, just down the piste from the Bel Air. 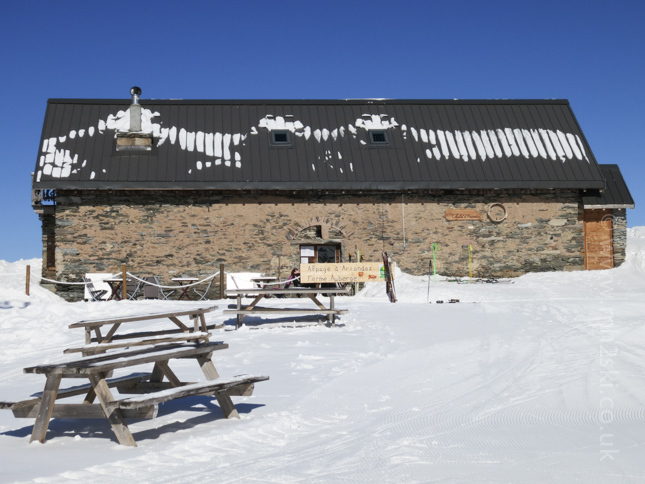 This cheese-makers hut offers a limited menu but excellent service, a convivial atmosphere and some of the lowest prices around, make this a worthwhile stop. 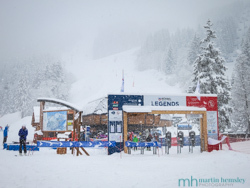 Generally, coming off the slopes you will find good food at more competitive prices. An example of this is the L'Arc en Ciel in 1650. 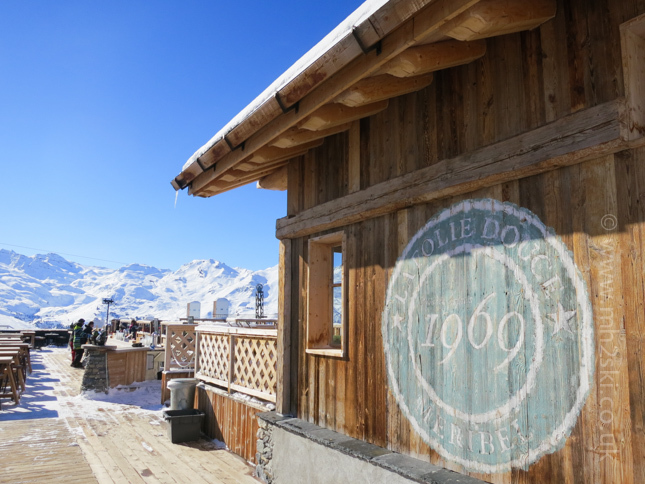 It's just a few steps off the piste and your reward is super simple food (great pizzas), in a very pretty room at good prices. 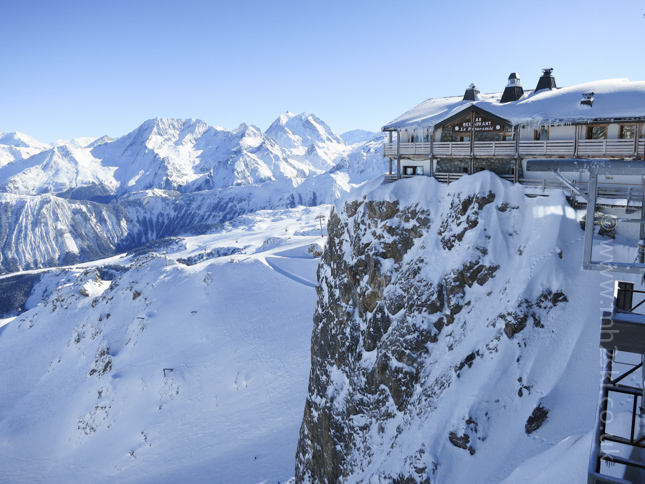 Similarly, the Courcheneige in 1850 is just off a green run but the food is good and it has a truly spectacular terrace. It's afternoon crepes too are well worth a stop. With the help of my friends, i recently worked out that it's possible to get to Méribel from Courchevel by bubble, avoiding some nasty reds and speeding up the journey considerably. Once there, there are some lovely forested green runs, just so you feel you've done something before lunch! We had lunch in the Fruitiere restaurant in the Folie Douce, a cabaret-come-milk-parlour that only the French would attempt. Hard to describe but be assured you'll enjoy it and the food is excellent. Another day sees me skiing down the Tovets, a blue run from Courchevel 1850 to 1550. 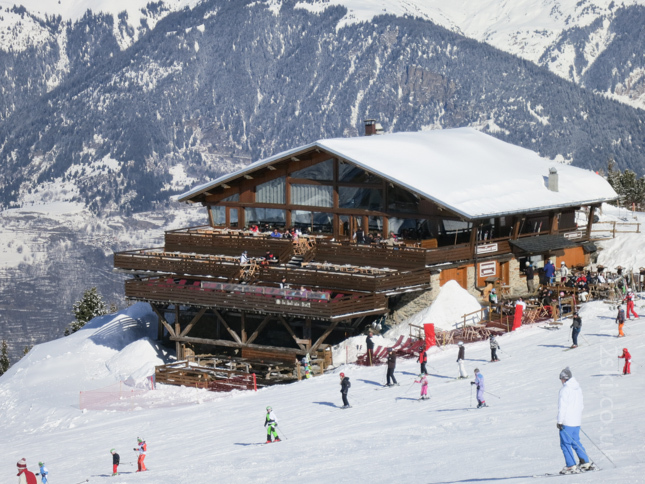 I don't particularly like the piste as it's one of the more difficult blues but the reward at the bottom is the wonderful L'Oeil de Boeuf, an excellent little restaurant that's a favourite with all our group. They specialize in meats cooked on an open fire, accompanied by onions and potatoes cooked in the ashes. It has a lovely "montagnard" atmosphere and is equally recommended for dinner as well. 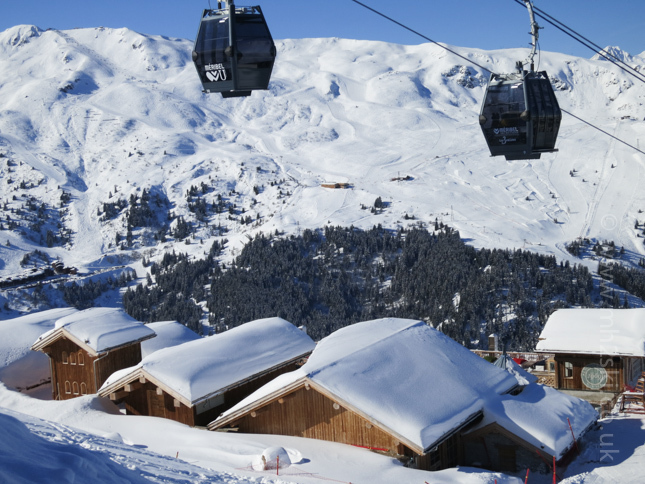 The Three Valleys boasts almost as many Michelin Stars as Paris or Lyon. With a large budget there's Le Stato, Le 1947, Le Cheval Blanc, etc, etc (and there are a number of etcs!). However, somewhat surprisingly, there is also excellent value Michelin-starred dining to be had, particularly at lunch. 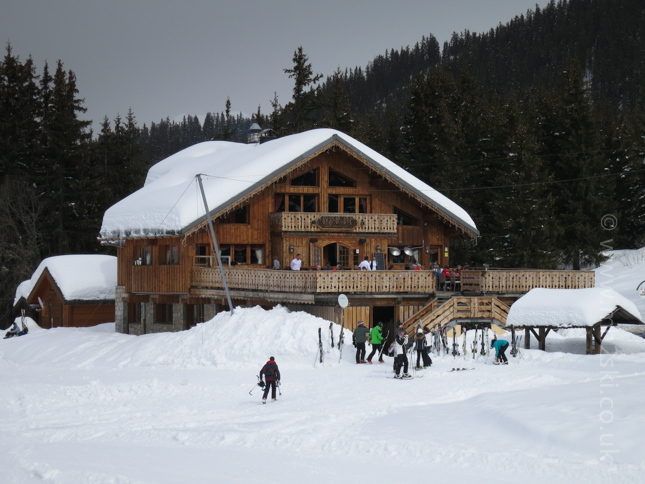 Azimut in Le Praz has a modern, simple atmosphere that belies the sophistication of the food. On top of this, the prices are stunningly good too; 27€ for a 3-course lunch and dinner menus starting at 30€. Le Farcon in La Tania is another Michelin joy. For 35€ at lunch you get the full Michelin treatment in a beautiful wood-panelled room. Dinner menus here begin at 55€. The lovely two Michelin-starred Chabichou in 1850 can be expensive but again they do a lunch menu for 60€. 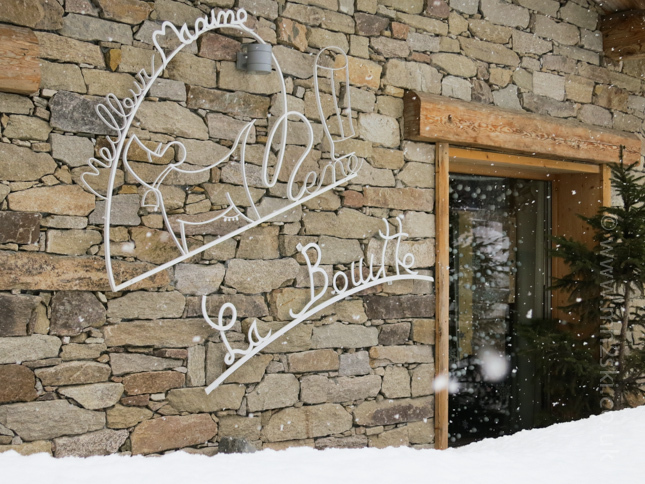 Chabichou is also a haven for the non-skier or simply the weary: They offer a spa/restaurant deal in conjunction with their bistro restaurant Le Chabotté, combining lunch and a day of treatments. My lack of skiing ability has prevented me from trying the two-starred La Bouitte in the pretty hamlet of St Marcel in the Belleville valley but it has the reputation as the best of all the restaurants in the Three Valleys and my friends would all corroborate this. Of course, for some people eating is only something that you have to do in between the skiing. If that's you, forget the Michelin guide restaurants; that's always going to be a long, leisurely experience. A good option for the time-pressed is a picnic. With some mountain ham and cheese, some wonderfully fresh French baguette and maybe a small quiche or two from somewhere like the Pain d'Antan in 1650, you have the makings of a memorable lunch. 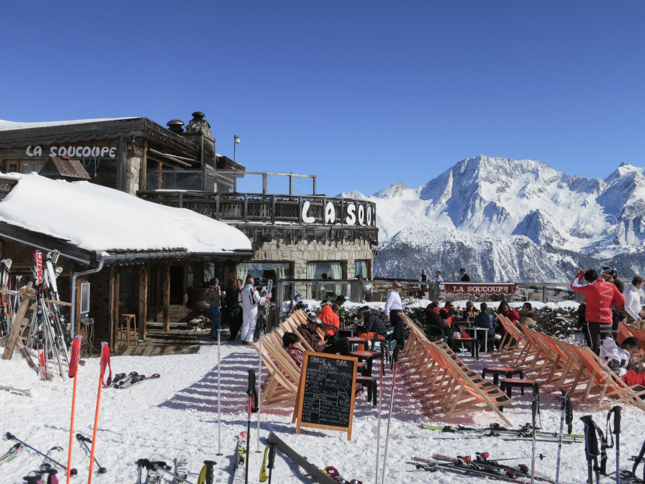 There are numerous picnic spots to choose from but I'd recommend the one at the top of the Signal chair in 1650 or on the Jardin Alpin piste in 1850, just on the right before you enter the woods. One of these days i will start tackling the red runs. What an acheivement that would be, and think of all the new restaurant possibilities that would open up! 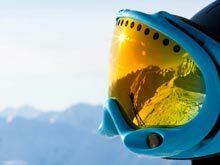 It's true that skiing gets more interesting the more you can do: repetitively going up and down the same runs gets boring. It's more fun to actually travel somewhere on skis. So worth hooking up with someone like Michael who will give you the confidence and skills that you'll need to extend your skiing ability. And by the way, for those who share my passion for food, Michael is definitely a fellow traveller! Blog by Noelle from Dublin.